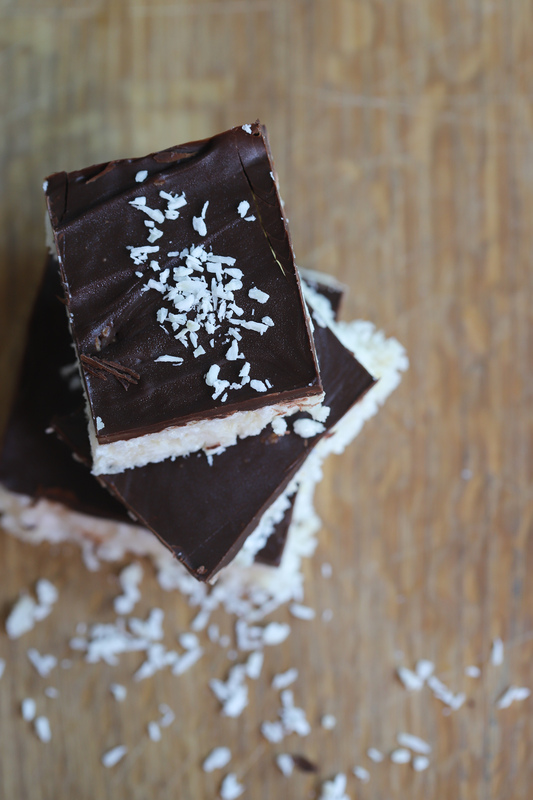 These chocolate coconut bars are easy, delicious, and healthful. 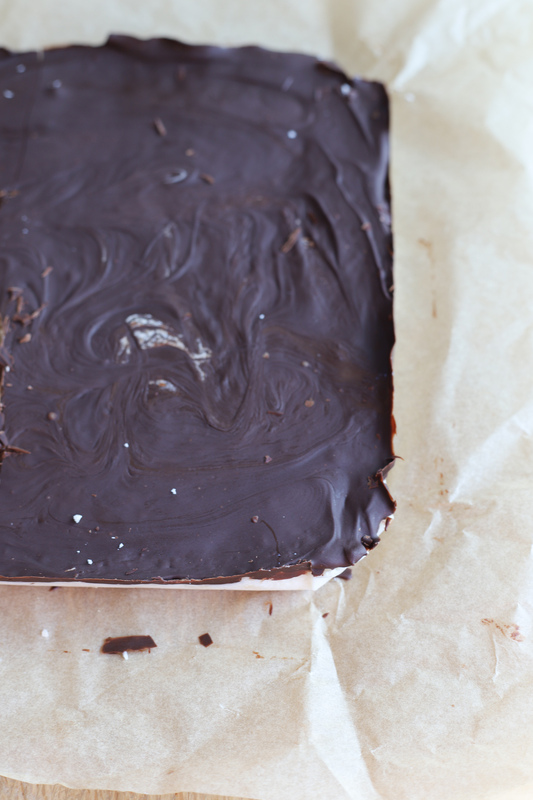 If you’re craving some chocolate but don’t want to blow your diet, give these bars a try! 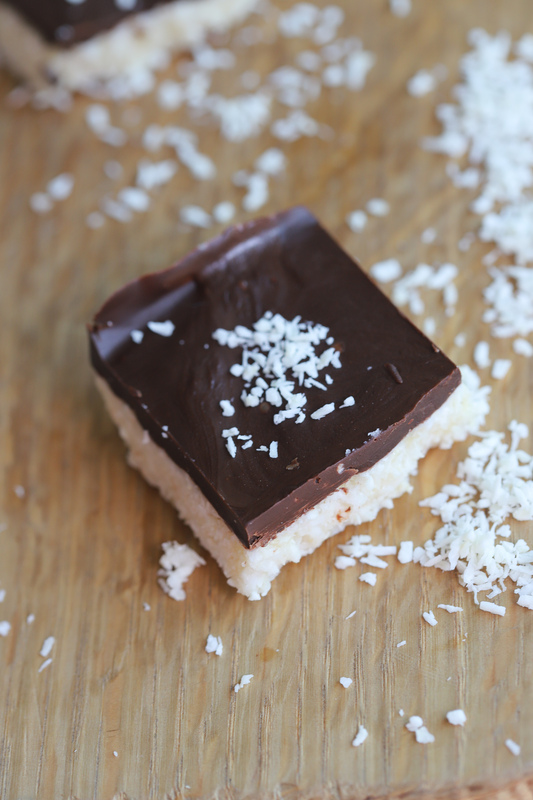 Chocolate and coconut. Now that’s a winning combination right there. I didn’t always think that way. Growing up, I didn’t give coconut a chance. One bite into a Mounds bar and I knew I didn’t like coconut. Or so I thought. Along with age comes adventure and that includes culinary adventure so once I was mature 😉 and I tried coconut, I loved it. And I haven’t looked back since. I’m thankful my boys like it too. 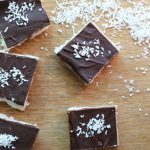 So when I saw this recipe for chocolate coconut bars, I knew I needed to give them a try. Sure glad I did. 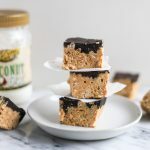 There are only four ingredients in this (slightly) sweet snack: unsweetened coconut, coconut oil, honey, and vanilla extract. 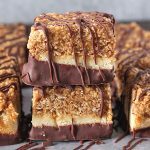 And since the coconut isn’t sweetened with additional sugar, but only sweetened with honey and vanilla, these bars aren’t overly sweet. They’re seriously perfect. And with that chocolate on top…yum. This is a treat that’s sure to keep you satisfied too. 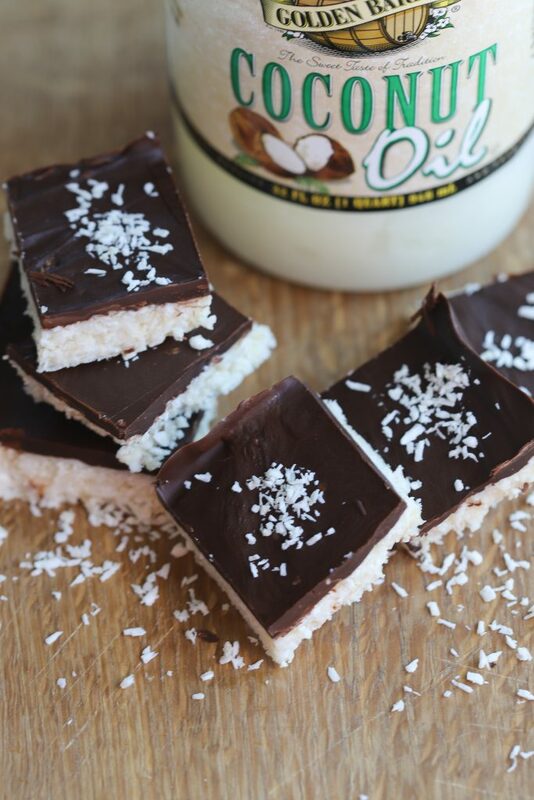 Because it has coconut oil (a healthy fat) in it, it not only satisfies your sweet tooth, but also fills you up. Another great thing about this treat is that you don’t need to turn your oven on to make it. And in these warm summer months, that’s always a plus. Just remember to keep these bars refrigerated, otherwise that warm weather will soften the coconut oil, causing the treats to melt. 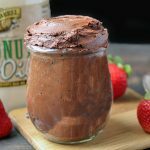 So are you craving something chocolate but don’t want to heat up your house? These bars are the perfect solution! Try them today! 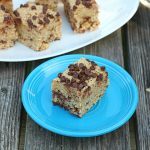 Quick, healthful, and seriously delicious, these bars are sure to satisfy your sweet tooth without compromising your health. Start by melting coconut oil in pot on stovetop or in bowl in microwave. Add shredded coconut, honey, and vanilla and stir into melted oil until combined. Spread out into a parchment-lined 8x8" or 9x9" pan. Press into pan and refrigerate until hardened. If using a bar of chocolate, chop bar into pieces. In a bowl of a double boiler, melt chocolate until smooth. 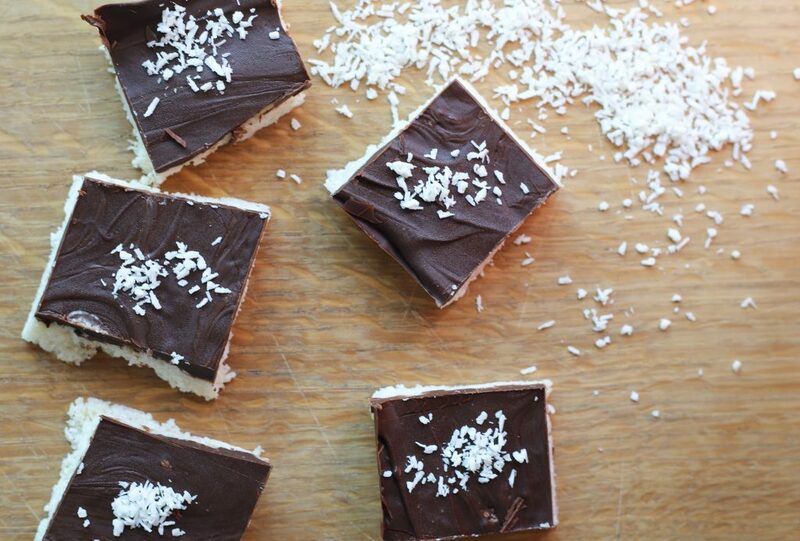 Spread chocolate over coconut mixture and refrigerate. Cut into bars once hardened and keep refrigerated. Bars will melt if left out for too long.